Since its release last year, Link has brought musical collaboration using iOS apps to life. By tempo syncing apps over a local network connection, the technology lets musicians forget the hassle of setting up gear and focus on playing together. Originally supported in Live and a number of iOS apps, now Link is coming to even more electronic instruments. 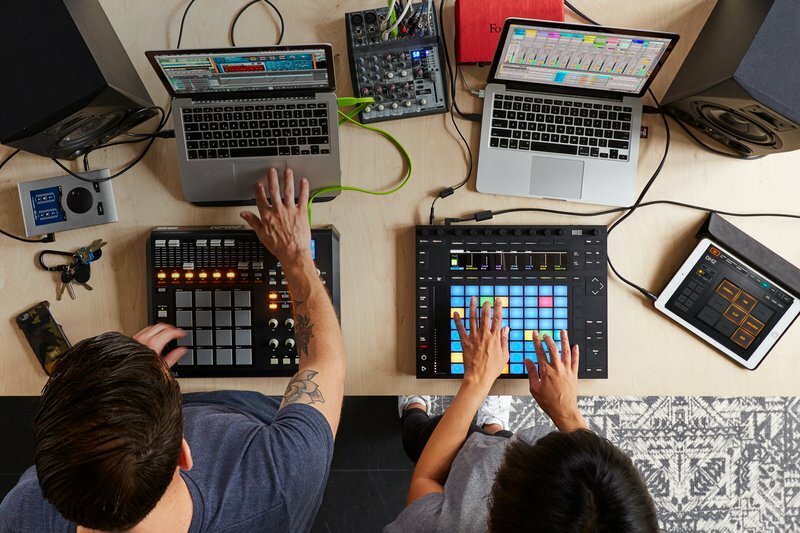 Propellerhead Reason, Serato DJ and Cycling 74’s Max are the next to integrate Link into their desktop apps. Plus the technology is now open source, so more developers can integrate Link into their own software. With Link in more applications, more musicians can jump straight into their performance no matter what they’re playing. If you’re not familiar with how Link makes playing across devices and apps a lot easier, check out our Link tour. Now Link is open source, more developers can explore new possibilities for the technology in their desktop software or mobile apps. The source code has been made available alongside the SDK for iOS – both can be downloaded from Github.